This show was 2nd in the global minimal techno chart and 21st in the global electro chart. 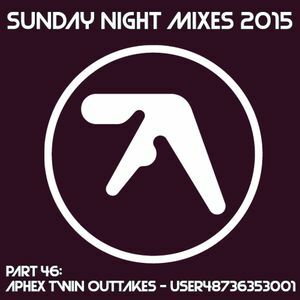 In late January 2015 an anonymous user posted 112 tracks on Soundcloud (later removing two) under the name "user48736353001"; this was linked by the official Aphex Twin Twitter account. The tracks are therefor widely believed to be Aphex Twin outtakes from the 1990s. Are these tracks really made by Aphex Twin? Judge for yourself with this 30 minute Sunday Night Mix of this rough rare material! Would love to see more of this. Unavailable in my country!! Grr! http://hola.org/ will fix your problem!